We work with many businesses such as design agencies, exhibition stand creators and event organisers as well as offering our services across the country. Our in-house production facilities help us to turn jobs around quickly, even on the same day. We use white labelling and packaging when dispatching items directly to your customers. We welcome all your creative ideas and will do our best to provide a cost effective solution. So why not take advantage of our investments for your business. Have a look at some of our popular trade services below. Please use the Contact Us form or give us a call to discuss your requirements. 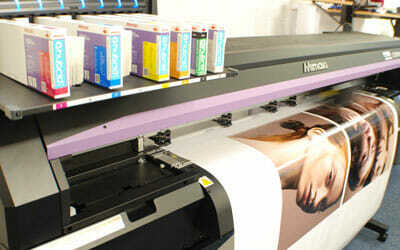 We are equipped with the latest 7-colour wide format print and cut machinery, providing sharp and durable prints. Using the white, pure orange and light black inks, we are able produce more vibrant results than our competitors. 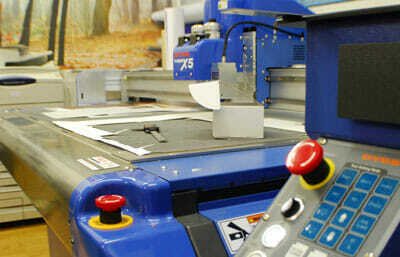 Our print and cut options allow us to cut graphics as a single piece up to 52 inch wide. Newest investment in UV printing now allow us to print directly on to polypropylene, box board media, leather. and other thin materials. 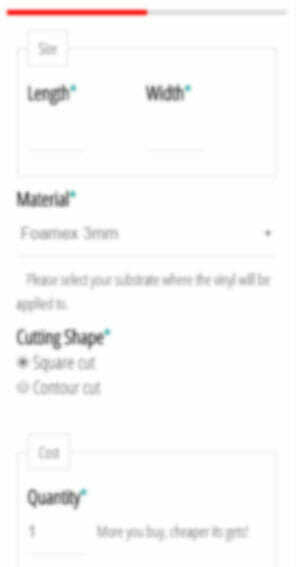 We can now print and cut Control panel fascia, carton prototypes with spot gloss finishing and other industrial instrument panels. Our state of the art digital cut and crease machine, combined with over ten years of CAD design and engineering experience, gives us a leading edge in the industry. We can cut various substrates such as display boards, correx, foamex, magnetic sheets, foam, gaskets and folding box board to produce promotional materials such as tent cards, wobblers, Stencil cutting, props, standees, fold over header cards, desk stands, product tags and card mailers.